Heavy duty bottle pre-labeled for Meguiar's D1801 Wheel & Paint Iron Decon. The color-coded and labeled bottle prevents cross-contamination of auto surfaces and detailing tools. 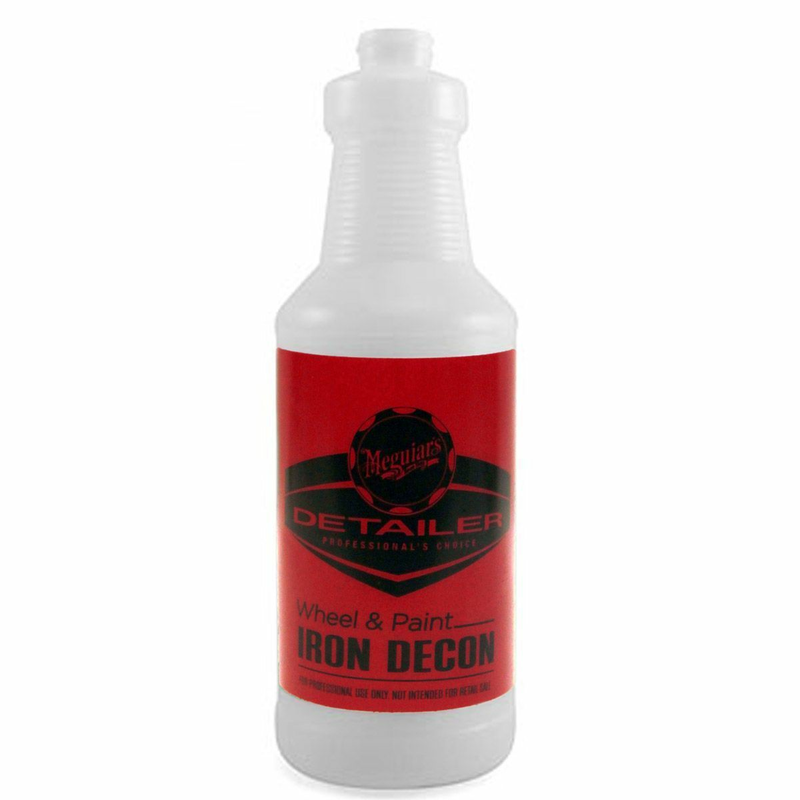 Meguiar’s D180101 Wheel & Paint Iron Decon - 128 oz.